So I decided that I need to buy a new fridge. I didn’t need an expensive fridge, because it is not for the place I am at the most, so I’m buying it in the UK. I decided to look online. 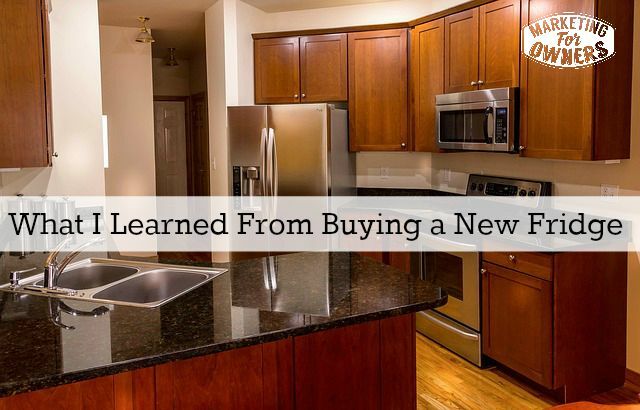 Firstly, I was quite surprised that a lot of the suppliers that use to sell what you call big electrical white refrigerators and things like that, no longer do sell them online. Now, that’s interesting. So the big supermarkets, like Tescos and Sant Breeze and Sons , I found that they had reduced to smaller domestic appliances suggesting there’s no money in it, not worth your effort — or suggesting that the big suppliers, don’t want to supply them, who knows. While I was looking, I noticed that there were photos and then there were some that had closeups, and then some that didn’t have photos of the things with the doors open. They have the dimensions and everything but the information on some of the sites were great, something like “AO.com appliances online”and they excellent information but not on every product. In the end, it came down to the little details, the things –that if you go to a shop and you can see for real or if you ask someone over the phone they’ll tell you, that information was not there. I thought what an opportunity for somebody to stand out. What an opportunity for a small business to stand head and shoulders above the large ones by just providing extra information. This by the way is what I learned from buying a fridge. In the end, to make a long story short, I went to Currys, that’s the big one (kind of like Best Buy). Currys is a large national electrical place, so I went to their shop. That big store. I thought I’d have a look there then take a picture with the part number and go back and buy online, somewhere cheaper. Another thing to know, Currys, when they put those –that’s what everyone’s doing, now they know that but that is everyone’s doing. They go in to look at it in real life, going and seeing if it’s cheaper online, buying it somewhere else. Make a note Currys. Just make sure you are the cheapest, then let’s go buy out from you. But I couldn’t open the fridge, so I couldn’t find out that the frost free ones aren’t as deep. As others said that those freezers traits might be wide but then not very deep, and things like that. But when it came to pricing, that is what interested me the most. There were fridges that had freezers selling for a couple hundred pounds. Now I would regard those as the cheap and cheerful. They might be adequate but one is called “essentials range” and then there’s “Currys own” and so on. It makes you feel –like when they’re calling that, I felt like they are the budget ones, they are not good enough. Why make me feel like they’re budget? They have lots of features but I felt they’re not quite adequate, and that it wasn’t for me. So, next to that, there’s one that was 230 pounds. It says, it’s 180 pounds off. However, all the ones standing around it, were around 230 pounds and all of the same and had the same features. But I could not help myself, seeing the 180 pounds off discount, that my mind made me feel there must be something slightly better with this model. Next to that was one that was smaller, but it had the addition of being frost free. That was 270 pounds, I think or 260 pounds. Although a cheaper mate and funny enough the same make as the one I wanted to get rid of. Although it had quite a bit off and would have done a great job, I felt it would be a bit iffy. That one said it was 200 pounds off and that was amongst others that didn’t have any discount. Again, I just could not help thinking “Gosh, that’s great.” I know it’s smaller, but it had the extra frost free, I know it’s got –and it’s all the psychology. What this was telling me is that certain little signals will make you buyers think differently. I’m going to be using those. If you wonder what I did buy, by the way, I ended up buying the one that cost 230 pounds because it was bigger. My son was with me and he made the decision. He figured it would fit a big pizza in the freezer and he liked that it had an LED light inside. That’s what we got and it’s on its way. But we didn’t buy it there, we went home. We bought it –we actually bought it, they had an offer. So we did buy it from them, because they have an offer to buy online that included something that they don’t offer in the shop. I think the best thing that they could have done was to have a video on the page with the product. On the page that the product is on, the video would open up, and not one that just listed one supplied by the manufacturer. Your own video — open it up and talk about it. Have a demonstration of what you can put inside the fridge. Put something that’s got measurements in it, in. Say “This is how big” then hold up that box that says 12 inches by 12 inches, this fitted in flat. Put real stuff in there and then talk about it. Anybody can do that. YouTube is free, you’ve got no excuse to not make excuses that you can’t compete with the Amazons and the Currys and the Bestbuys and so on. Because you can if you just think of what they are not doing and offer exceptional service to clients, even online. It is time for a friendly follow. It’s Wednesday. 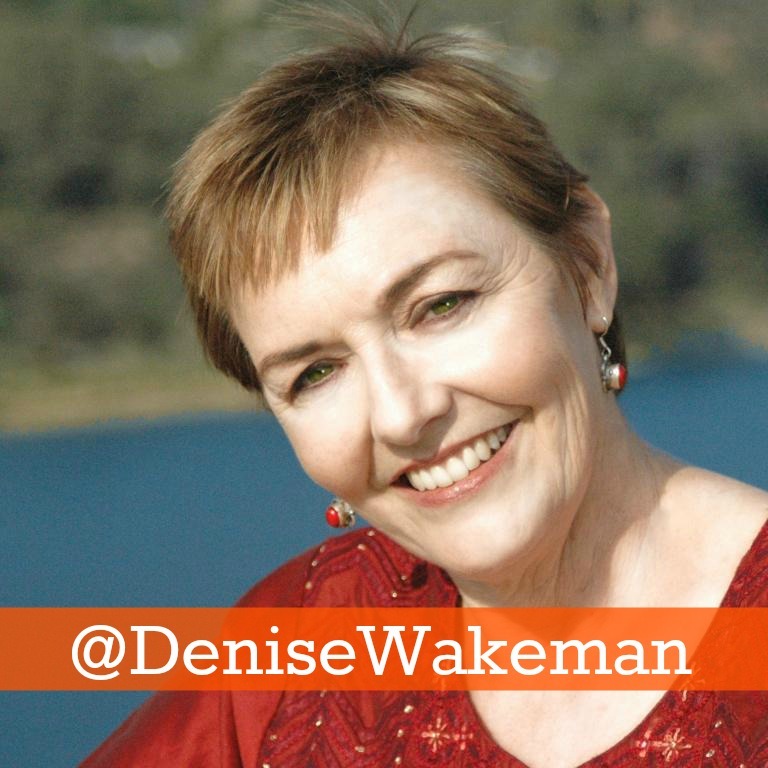 Today we’re going to have a look at Denise Wakeman. Denise has been online and on social media since I started. She is brilliant. I see her everywhere. I’ve seen webinars and the number of people who have had her lessons, her learnings and have given testimonials that she is fantastic. I think her website is Denisewakeman.com, but you will find anything if you just Google Denise Wakeman. All her social media properties are very well optimized and she practices what she preaches. She is great. Please go and watch what she does. If you tend to leave and take one of her simple cheap courses everybody gets results. What steps can you take to do what the big retailers are not?